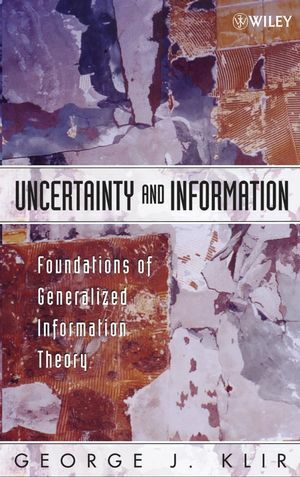 Uncertainty and Information: Foundations of Generalized Information Theory contains comprehensive and up-to-date coverage of results that have emerged from a research program begun by the author in the early 1990s under the name "generalized information theory" (GIT). This ongoing research program aims to develop a formal mathematical treatment of the interrelated concepts of uncertainty and information in all their varieties. In GIT, as in classical information theory, uncertainty (predictive, retrodictive, diagnostic, prescriptive, and the like) is viewed as a manifestation of information deficiency, while information is viewed as anything capable of reducing the uncertainty. A broad conceptual framework for GIT is obtained by expanding the formalized language of classical set theory to include more expressive formalized languages based on fuzzy sets of various types, and by expanding classical theory of additive measures to include more expressive non-additive measures of various types. 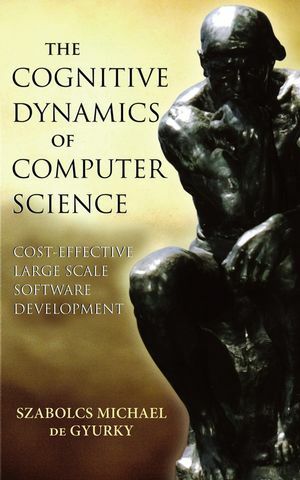 With extensive use of examples and illustrations to clarify complex material and demonstrate practical applications, generous historical and bibliographical notes, end-of-chapter exercises to test readers' newfound knowledge, glossaries, and an Instructor's Manual, this is an excellent graduate-level textbook, as well as an outstanding reference for researchers and practitioners who deal with the various problems involving uncertainty and information. An Instructor's Manual presenting detailed solutions to all the problems in the book is available from the Wiley editorial department. GEORGE J. KLIR, PhD, is currently Distinguished Professor of Systems Science at Binghamton University, SUNY. Since immigrating to the U.S. in 1966, he has held positions at UCLA, Fairleigh Dickinson University, and Binghamton University. He is a Life Fellow of IEEE, IFSA, and the Netherlands Institute for Advanced Studies. He has served as president of SGSR, IFSR, NAFIPS, and IFSA. He has published over 300 research papers and sixteen books, and has edited ten books. He has also served as Editor in Chief of the International Journal of General Systems since 1974 and of the IFSR International Book Series on Systems Science and Engineering since 1985. He has received numerous professional awards, including five honorary doctoral degrees, Bernard Bolzano's Gold Medal, Arnold Kaufmann's Gold Medal, and the SUNY Chancellor's Award for "Exemplary Contributions to Research and Scholarship." He is listed in Who's Who in America and Who's Who in the World. His current research interests include intelligent systems, soft computing, generalized information theory, systems modeling and design, fuzzy systems, and the theory of generalized measures. He has guided twenty-nine successful doctoral dissertations in these areas. Some of his research has been funded by grants from NSF, ONR, the United States Air Force, NASA, Sandia Labs, NATO, and various industries.